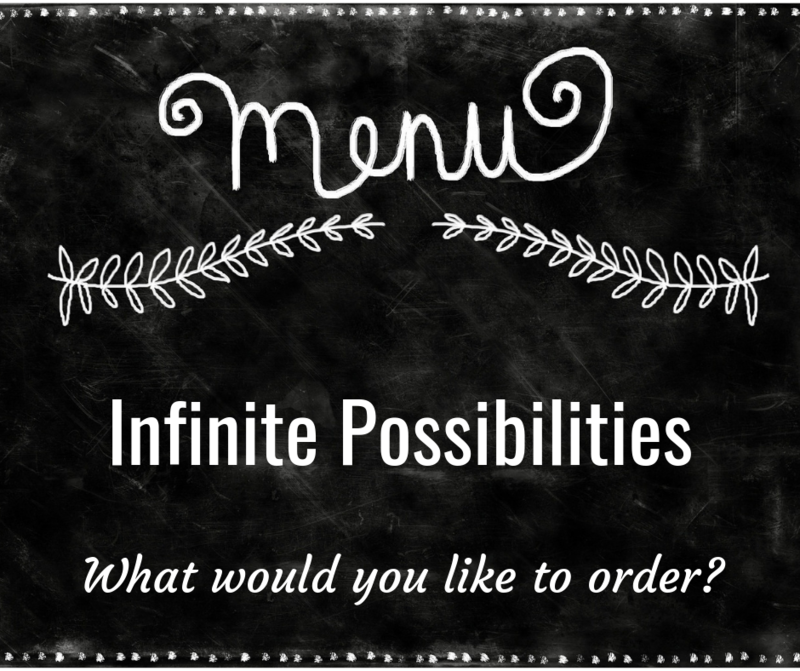 If your life offered you a menu, what would you order? ​This year I get to celebrate a big birthday milestone. On September 15, I turn 50 years old! Yay! Birthday celebrations are a big deal for me. You can ask my partner Richard. On the morning of every September 1st, when we wake up, I announce to him that we are officially beginning the celebration of my birthday month. Once that settled in, the next thought emerged. Over the next couple of days, I started a mental list in my head of some possibilities for a birthday celebration. I could have a big birthday bash, inviting all my friends and family, with lots of food, music and dancing. That sounds like fun. Or we could go on a cruise. I like cruises. Where can I go that I haven’t gone before? We can do a 14-day transatlantic cruise that leaves Fort Lauderdale and ends up in Barcelona. I’ve always wanted to take a cruise through the Panama Canal. We can start in Florida, go through the Panama Canal, and end up in Los Angeles. Hmm..how about a cruise through Asia, with stops in Singapore, Vietnam, maybe Japan? That sounds adventurous. Well, if not a cruise, what else would be on my list? I’d love to take a week in Orlando and visit DisneyWorld and Universal Studios. It’s been years since I’ve been there and visiting Harry Potter at Hogwarts feels magical. Or, how about a trip back to the Philippines, to visit some of the beautiful beaches I haven’t explored and to show Richard the country where I was born? I’ve also had the inkling over the years to try skydiving. I saw on the news recently that the actress Viola Davis went skydiving to celebrate her birthday. These are a lot of great ideas, but which one should I choose? It so happened that I spoke with my mom on the phone, and I told her all of the different ideas rolling around in my head. It’s such a seemingly innocuous question, very straightforward and simple, and yet it’s one that confounds so many of us. Have you ever found yourself needing to make a decision about something and feeling lost or unsure about what to do? You could be trying to figure out something fun, like where to go on vacation or what to eat at a new restaurant. Or you might be facing a challenging situation, like finding yourself hating your work environment, or being in a troubling relationship, or feeling dissatisfied with life. No matter what you might be experiencing, “What do you really, really, really want?” is a powerful question because it cuts through all the noise and puts the focus on you. Here’s another way that I pose this question to my clients. Imagine the Universe is a restaurant. For your career or your business, what do you want? For your relationships, what do you want? For your health, what do you want? For your money, what do you want? For life to feel joyous, meaningful and alive, what do you want? To entertain this question means to temporarily set aside and suspend the thoughts and ideas that creep up that aim to squash this question. If you’ve had any of these thoughts come up, please don’t beat yourself up. These thoughts show up for the vast majority of us, including me. Many of us are taught to play it safe, to go for what’s do-able and to do what everybody else does. For the most part we’re not encouraged to think for ourselves and to draw outside the lines. But here’s the spiritual Truth: There’s a Creative Energy at the center of all of Life itself. This energy is inexhaustible, and it is infinite. And this Creative Energy is seeking to express itself fully in all of Life itself, including you. That means, what you experience and what you express in Life is limited only by you…your understanding of who you think you are, what you believe you are equal to and what you accept as possible. So, for my 50th birthday this year, I get to apply this teaching to my own situation. I’m not sure yet what I’ll choose from the menu. I’m still perusing what looks tasty and delicious, and I’m open to entertaining new and interesting ideas (please let me know if you have any suggestions!). Perhaps, I’ll not only pick one, but choose a few things from the menu…maybe an appetizer here, a dish there, and of course, dessert of some sort! It’s a wonderful feeling when you allow yourself to play in the realm of possibilities. There’s a freedom when you allow yourself to open up and stretch, and lovingly invite wonder and delight into your Life. And here’s the other lesson I’ll impart. You don’t have to wait for a milestone birthday to choose from the menu of Life. You can begin to make choices that bring you joy and delight right here and right now. In this moment. Right where you are..
One thing I do know for sure, though, is that for this year, I’m not limiting myself to celebrating my 50th birthday just for the month of September. I’m going to celebrate the whole entire year. I'd love to hear your thoughts about today's article. Please feel free to leave a comment below. My unique ability is to see people clearly for who they are, to help them figure out what’s really holding them back and to fully support them in a safe and sacred space, with the result of people feeling excited about life and believing they can claim the driver’s seat of their lives. I've been called the "Aha Whisperer." If you’re feeling the need for support in creating a life filled with more spaciousness, purpose and joy, I offer a complimentary life coaching consultation that may provide you with the insight and resources you need in this moment. To learn more about this, click here. Are you drifting through your life? Every once in a while, when the weather is warm and sunny, Richard and I drive to the canals along Naples in Long Beach, California. We start off kayaking full of energy and with intention. We yell out to each other, "Stroke! Stroke!," as we time our oars so we’re moving efficiently in the direction we want to go. At some point, though, our arms get tired and we poop out. That’s when we find our kayak slowly drifting. When we’re not moving our oars in the water, we’re like sitting ducks, bopping along wherever the waves or the wind want to take us. Sometimes we’ll head straight into a parked boat or pier, or run into other beginner kayakers who are trying to figure out how to steer these water vehicles. Other times we’ll just be sitting in the middle of the water, not moving at all, simply drifting without any direction. Kayaking can be an illustrative metaphor for how you approach your life. Have you ever found yourself feeling like you’re drifting, in some area of your life? Drifting shows up as feeling like your life isn’t going anywhere purposeful, like you’re simply going through the motions. You wake up, go to work, come home, sleep, and the cycle starts all over again. You wait to see what happens, hoping and praying for something exciting to come along. I’ll tell you, I don’t believe anyone intentionally wants to drift through their life. It can feel very frustrating, maybe even heart-breaking, to come to this realization. So what do you do when you find yourself drifting through life? Well, here’s what Richard and I did on our kayak journey. After resting our muscles and drifting on the water, we knew we had to do something or else we’d be sitting there for the rest of the day. It seems like a such a simple question. But this simple question is one that so many people don’t ask themselves. If you’re drifting in your career, what kind of work would you love to do? If you’re drifting in your finances, where do you want to be with your money? If you’re drifting in your relationships, what are the kinds of relationships you want to have and who do you want to have those relationships with? If you’re drifting in terms of your health, what changes do you want to make? If you’re drifting in your life in general and feeling like you're not where you want to be, then who is the person in your heart that you are being called to be? What happens in many cases is that instead of asking these questions I've laid out, many people have resigned themselves to the idea that there’s nothing they can do. So they don't even know they can ask the question. They figure there's nothing to be done. But there is something you can do, and that’s to ask yourself the simple question. When you take the time to ask yourself what you want, in any situation in your life, the pathway forward starts to become a little more clear. You sense a spark in your soul and you realize there might be a destination you're being called to go to. Then, all you need to do is take the first step. Or, in our kayaking outing, the first row. If you’re wondering what Richard and I decided to do after drifting in the water, we got the inspiration to treat ourselves to some hot chocolate at the nearby shopping center. After we bought our hot chocolates, we sat with our feet dangling at the pier, right next to our kayaks. We basked in the sun while we sipped our sweet treats. After we finished our drinks, we kayaked for another 30 minutes to return to our kayak rental. All in all, we had an exquisite, and very memorable, day. Is there anything you can do to make sure you don’t find yourself unintentionally drifting through life? You don’t have to think of something major to change at this point, if you don’t want to. You can start small and ask yourself a simple question. For today, what would you want to do to bring a little sweetness and joy to your day? When you ask yourself what you want, and you take action to move towards that, you’ll find that you're no longer drifting. You’ll actually find yourself in the driver’s seat of your own life. And if you’d like support in getting clear on how you can create more energy expansive life, I can help. You can set up a complimentary life coaching consultation. Click here for more information. ​Over the last week I’ve been nursing myself from a terrible case of the flu. A fever of close to 102 degrees, severe chills and waking up in the middle of every night completely drenched in sweat. My body felt terrible, especially as I had coaching clients, 2 live meditation workshops and my very first webinar to host, all happening in the same week! With all these activities on my calendar, I knew that, at the first sign of getting sick, I had to move into “time-to-get-well-quickly” mode. Immediately, I started drinking hot tea with honey and lemon, and eating chicken udon and wonton soup. Richard got me some DayQuil, NyQuil and orange juice. I decided to get as much rest as possible, going to bed as early as 8pm and building in nap times during my day. I reduced my work to the very minimum I needed to get done, which made me feel super-efficient! And I barely looked at my social media. I just needed to rest. Energy expanders include getting lots of rest, eating nutritious food, and doing the things that make your body, mind and soul feel nourished and taken care of. Energy expanders could also include things like meditation and other spiritual practices, and spending time with loved ones. Energy expanders are activities that leave you feeling more energized and vibrant. And then there are those activities that I call “energy drainers." Sometimes these feel draining, and other times they make you feel "meh," or somewhat neutral. Energy drainers include things like watching tv mindlessly or getting lost in social media for hours, eating a whole bunch of junk food that make you feel awful after you eat it, or doing things that you don’t like to do (but you do them out of a feeling of obligation instead of joy). If you've ever felt like you wasted time, or you wondered "Why did I just do that? ", those are most likely signs of energy drainers. Essentially, energy drainers are those activities and experiences that don't promote your growth and expansion. One of the keys to living a more fulfilling life is to include more energy expanders in your schedule. And the more your life is filled with these energy expanders, the greater your sense of fulfillment. Is that really possible, you ask? I’m here to say, yes, it is completely possible. But it takes some work. It also means getting clearer and saying yes to what gives you energy and vitality, and no to what doesn’t. As horrible as getting the flu has been for me this past week, I actually can see the blessing in all of this. 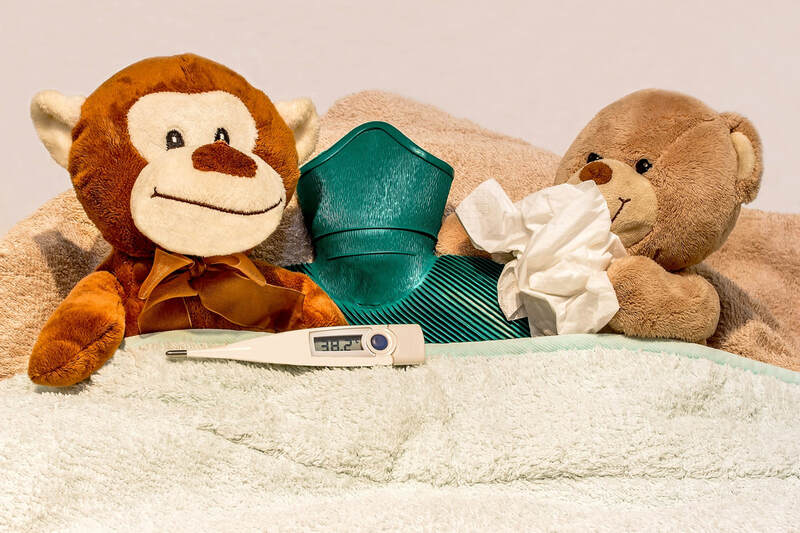 What getting sick helped me to remember is this lesson, that I don’t have to wait until I get sick in order to start doing the things that promote my health and well-being. I can start right now. What's one baby step you can take this week to bring more energy expanders in your life?